Last week the kids did grow capsules (http://ashlen-kidspert.blogspot.com/2015/01/week-in-review-january-21-january-23.html) but the capsules didn't dry in time to do sponge painting with them. That was our first activity of the week....the kids thought their sponge paintings "look so cool!" If I didn't know better, I'd say it was paper filled with bloody prints. I had to reassure a few parents at pick up time that they were in fact done with the animal sponges from the grow capsules. Love trees. The most difficult part of this was tracing the kid's hands. 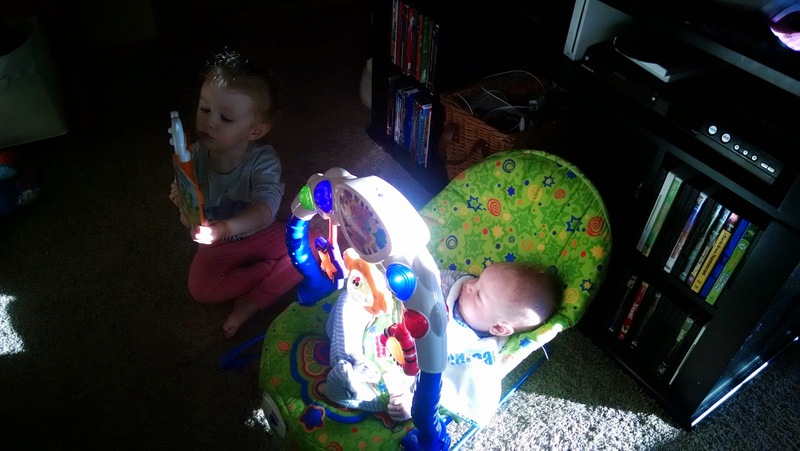 Elizabeth spent an afternoon reading to the baby. She LOVES having a baby around at daycare again! 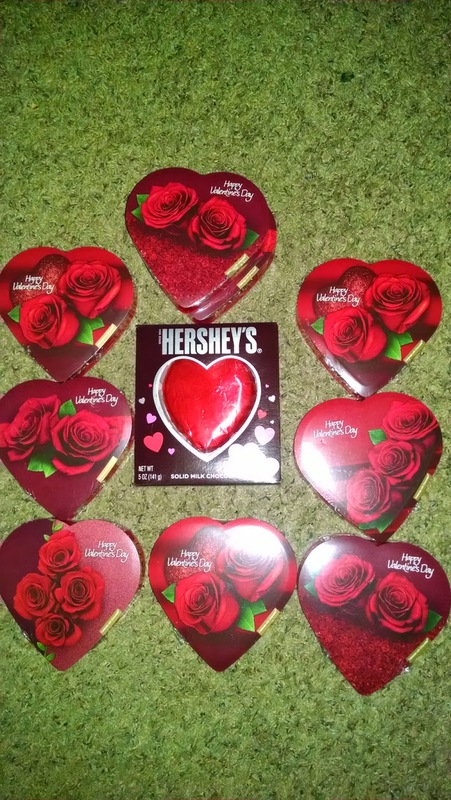 Chocolate Day was a success (http://ashlen-kidspert.blogspot.com/2015/01/chocolate-day.html)! There were many, many fantastic Lego structures made. And then destroyed. And then made again. 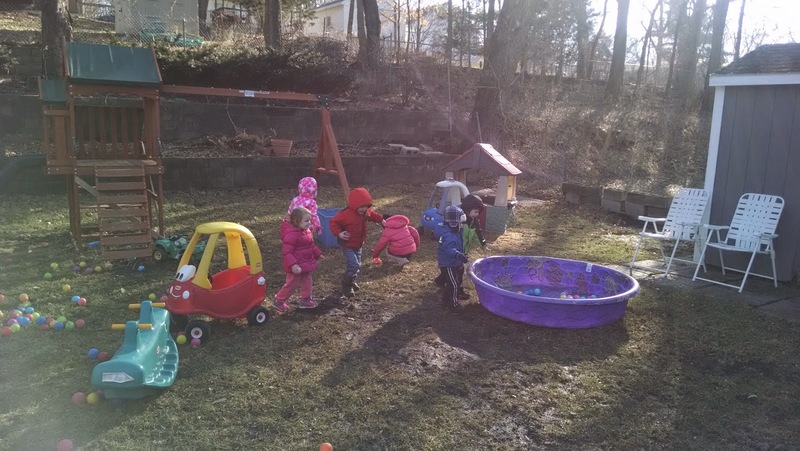 Playing outside in the muddy backyard. The kids set up the ball pit (plastic pool and tons of ball pit balls) all by themselves. 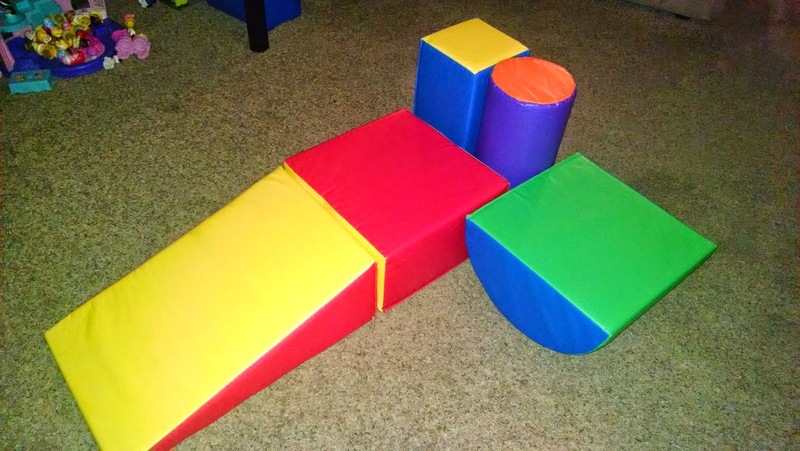 The newest daycare toys: gymnastic blocks. A friend found them for me and got an amazing deal on these used blocks! Amazingly there was only one injury, but we made use of the couch cushions and lined them up against all of the shelves around. That saved a few black eyes from occurring. 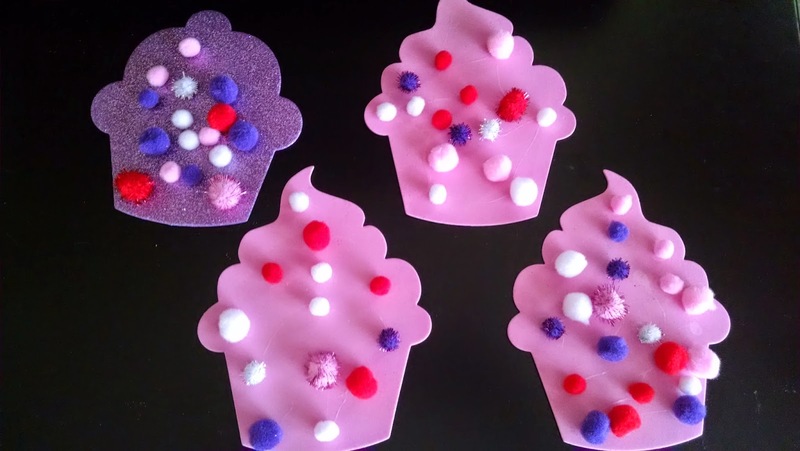 The kids decorated pink and purple glitter foam cupcake shapes with pom poms. The kids loved this one because they got to use glue all by themselves. That's a big deal when you're three years old! 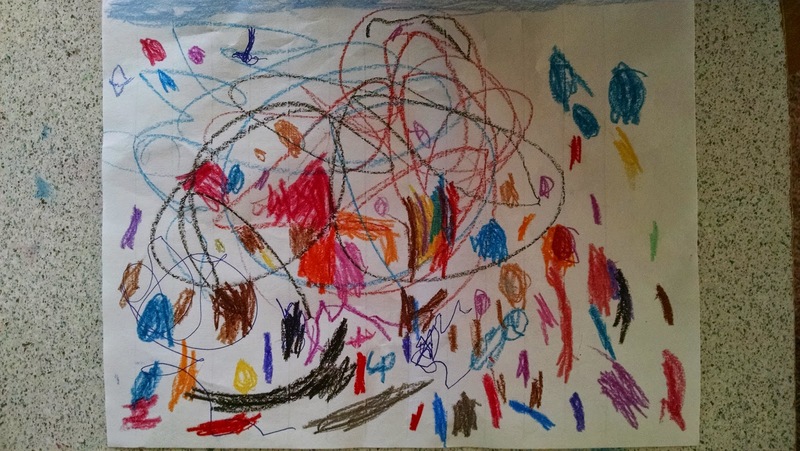 The kids have been drawing their own maps.....then they pretend to find "treasures" (typically Little People figurines) around the house. I love their creativity and watching their maps progress as the weeks go by. They've been on this map kick for a few weeks, but just within the past couple of weeks, the maps have become quite intricate with details. 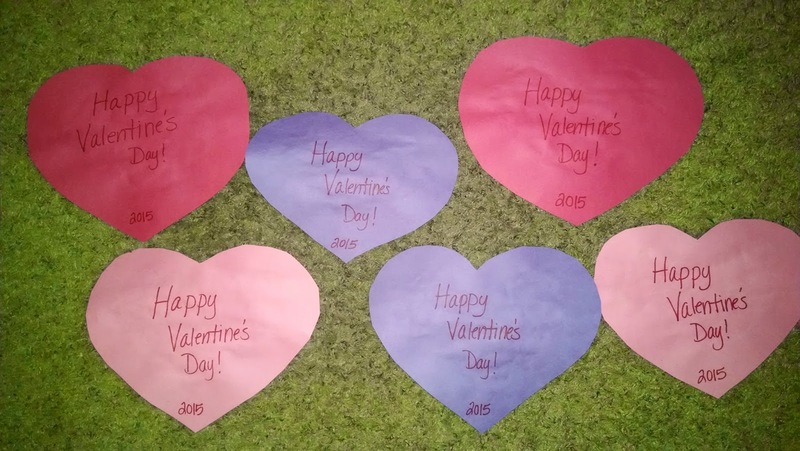 These turned out so cute and were so easy to make! 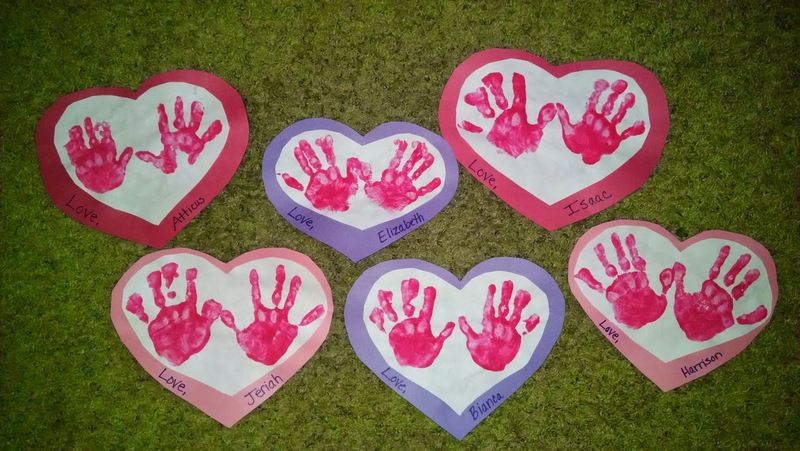 This is my favorite Valentine craft I've ever had the kids do. The kids colored crowns and had a pizza party right before we celebrated a daycare child's birthday. Given all of the sweet treats the kids indulged in this week, Friday we had a gigantic veggie tray and watched "Night At The Museum." 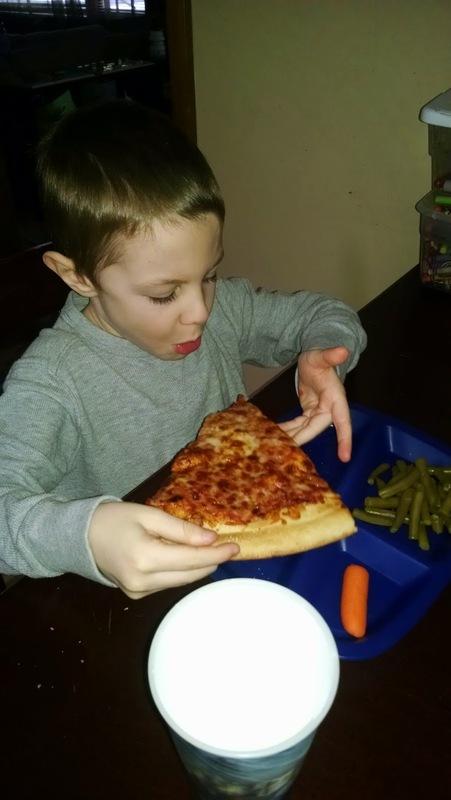 The kids easily ate an entire weeks worth of veggies as they demolished the entire veggie tray! 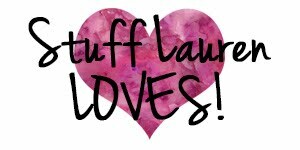 Next week we'll be doing a few more Valentine crafts, decorating cookies, and playing with our Valentine sensory table. "This Is What I Come Home To?"